Participants from the Eighth Annual Winter Chamber Festival perform in public after an intense weekend of coaching and practice. $12 general admission; $10 seniors and students. E-mail Director Dr. Angela Yeung using the form below. 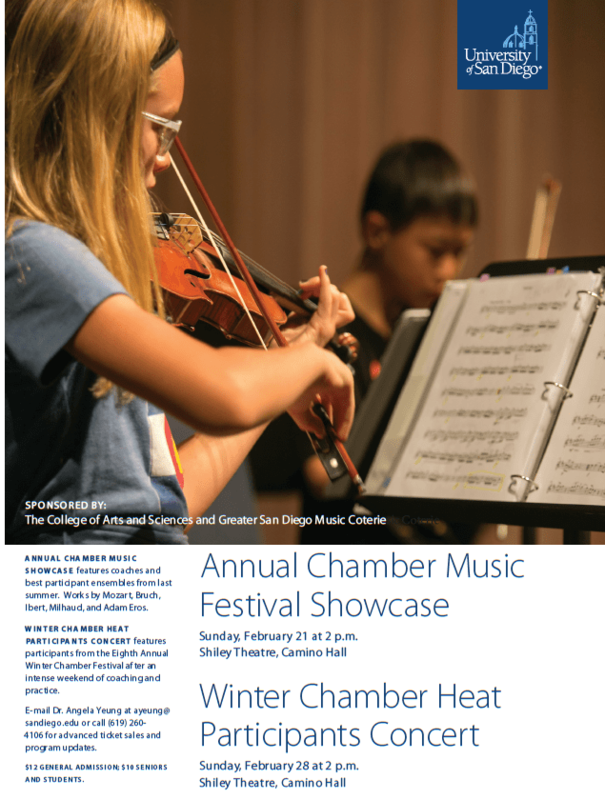 Or call (619) 260-4106 for advanced ticket sales and program updates.